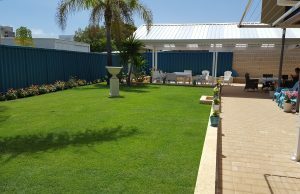 Palm Beach Bed & Breakfast prides itself on outstanding service and clean, fresh spacious rooms. Fresh milk, cereals, yoghurt, breads, tea, coffee, juice, bottled water and a selection of spreads. Feel at home in the upstairs communal kitchen, dining, lounge & verandah area’s or relax in the back garden making use of the communal BBQ facilities.